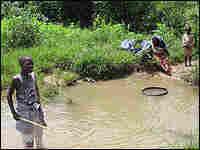 Doctor Tests Nigerian Children Despite the toll it can take, schistosomiasis is not an international health priority. The waterborne disease eats away at the intestines, causing bleeding and anemia. One doctor hopes the results of her research in Nigeria will persuade authorities to provide money for medicine. As AIDS and malaria capture resources, some parasitic infections are overlooked. 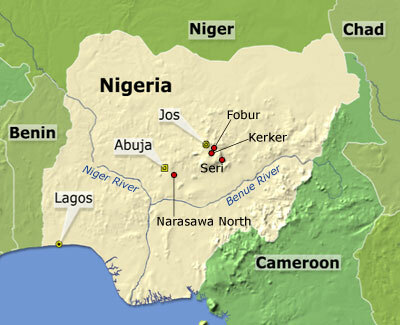 Series Map: Health workers are trying to uncover the extent of parasitic infection in rural Nigeria, including the villages visited in this series: Fobur, Kerker, Nasarawa North and Seri. 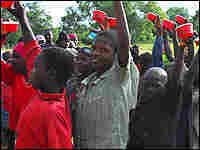 Children show off the red cups they've been given. They'll bring them back the next day with stool samples. Villagers bring their families to a site in Kerker, Nigeria, where children are tested for schistosomiasis. 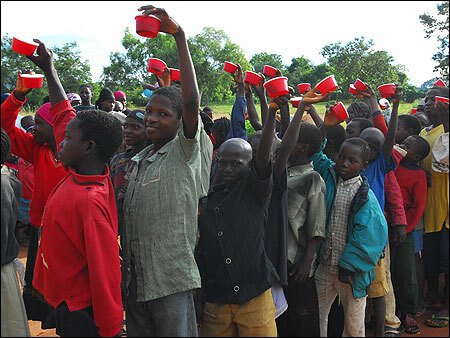 Schistosomiasis affects millions of children in developing countries. A microscopic parasite slowly eats away at their intestines, their colon, their liver and their urinary tract, causing bleeding and anemia. Yet the debilitating disease does not kill, and it is not an international health priority. Drug manufacturers give away their medicines for some debilitating nonlethal diseases, but not for schistosomiasis. The medicine costs 20 cents per child per year; with millions of infected children, the total cost of treatment would be in the hundreds of thousands of dollars. 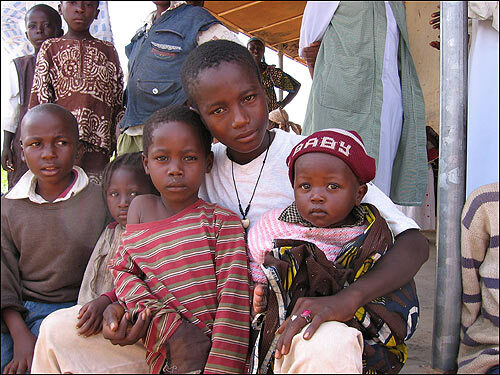 Dr. Julie Gutman is helping health officials find out how many children in Nigeria are infected. She is surveying 30 villages to determine whether the disease is present in the state of Plateau. "If we don't find a high prevalence in any of the 30 villages we test, it's something that we don't at this point need to worry about," said Gutman, "we can focus our efforts on other problems." Gutman is working with the Carter Center. 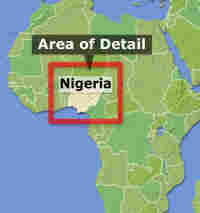 She is taking a break from her medical training at Emory University in Atlanta to work in Nigeria. Children get intestinal schistosomiasis from swimming in ponds that have been contaminated by urine or feces from people with infections. The disease causes cramping and anemia, but is hard to diagnose as other infections can also bring on these symptoms. For her project, Gutman battled muddy roads and pouring rain on her drive to the village of Fobur. She stopped at the house of the village chief to get the children to come to the local school at 10 a.m. Yet few from the age group Gutman needed — ages 10 to 15 — showed up on time. A second request by the chief yielded enough children, who crowded onto the small wooden benches in one of the classrooms. 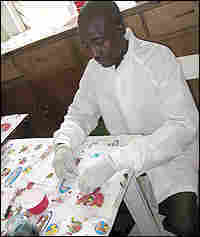 In order to detect schistosomiasis, feces samples must be sent to a lab. To get samples, Gutman asks children to put some of their feces into cups that she provides. In the first village she went to, the kids were so excited about the red cups that they didn't use them as intended or bring them back. With lids that seal, they were "far too nice," said Gutman, who now gives children a present when they return the cups. In Fobur, as a local health official explained to the kids what to do, the children giggled, reacting as youngsters anywhere might to a discussion of "stool" and "feces." Fifteen boys and 15 girls each took a cup, and brought it back the next day with a stool sample. The samples were sent to a lab in a city several hours away. 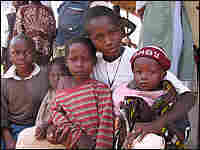 Results showed that many of the children had been living with the infection. "We found 11 positive children, so that is greater than 30 percent," said Gutman. "So all of the children in that area will be treated." Nigerian health officials are now faced with finding the money and resources — and deciding whether other nearby areas should be checked as well.